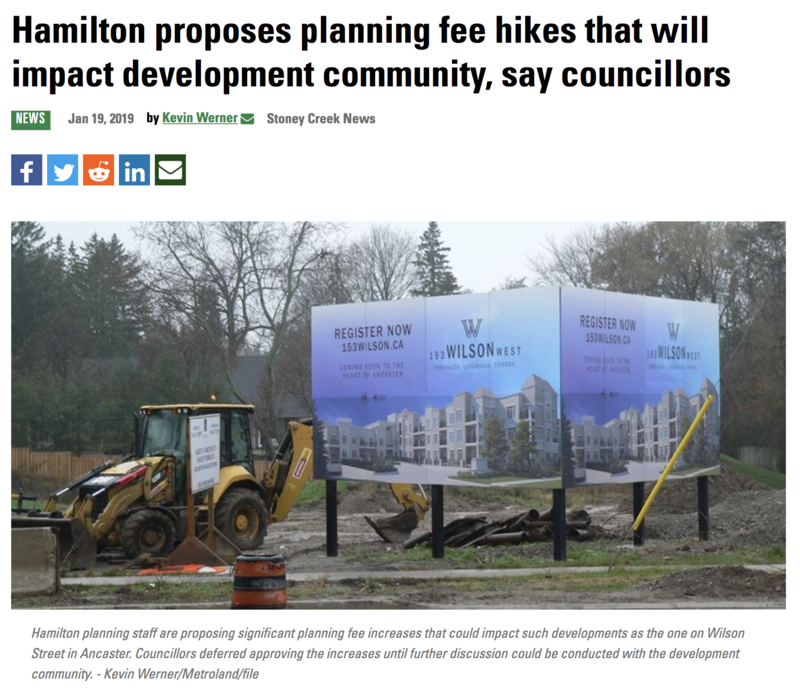 City of Hamilton staff have proposed a staggering 1,000% price increase in their planning application fees. I question this (as well as other larger municipalities….) The Municipal Act only permits municipalities to charge actual cost of the application processing. They are not allowed to make a profit on applications, or help pay for other unrelated services. Regardless, of the actual increase (once vetted through Council), there will be a cost increase. If you have pending development plans, you should act on them now, and avoid any unnecessary cost increases. Previous Thumbs Down to General Motors!!! !